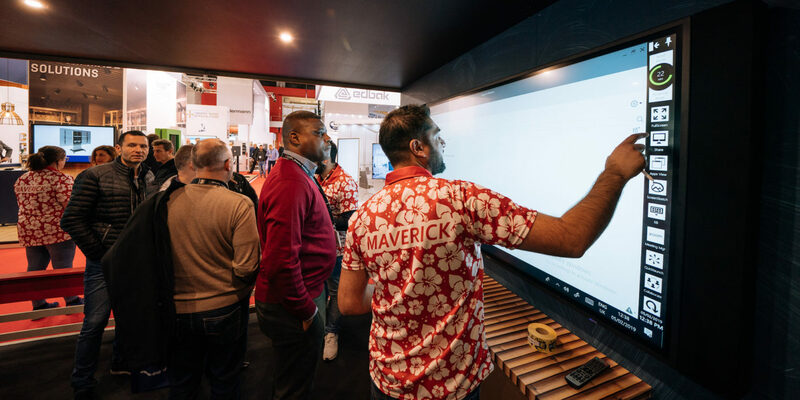 Global audio-visual distribution specialist, Maverick AV Solutions work with a portfolio of world leading manufacturers including Microsoft, Dell, Samsung, LG, Sony and more. 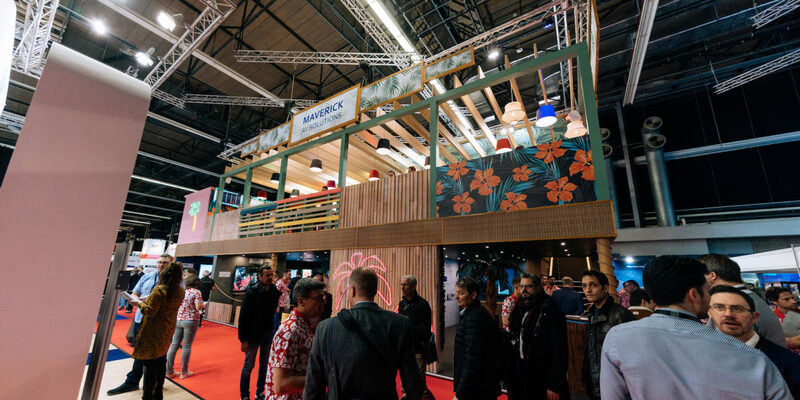 A must-attend marketing opportunity for Maverick, Integrated Systems Europe (ISE) is the world’s largest exhibition for AV and systems integration attracting more than 60,000 visitors and press. Much like the industry overall, it’s a hugely crowded space where brand cut-through and visitor engagement had proved difficult. In 2016, Maverick posed this challenge to DSA in a four-way exhibition agency tender. 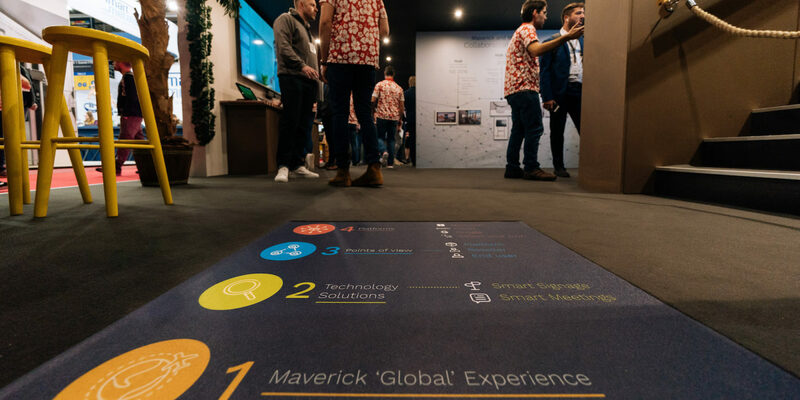 Our approach was to reimagine the attendee experience from top to bottom. Instead of starting with brand and product guidelines, we focused our design efforts on creating a space where visitors would want to spend time. 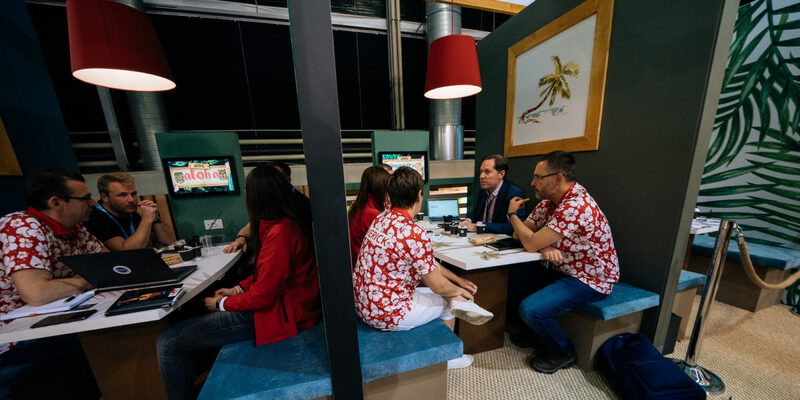 It proved a winning formula and the Maverick Tiki Bar was born. 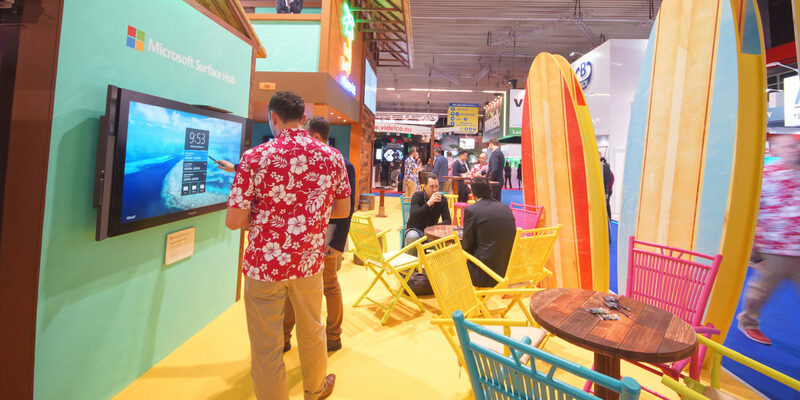 Our Waikiki Beach themed surf-shack featured palm trees, long boards, dark woods and pastel décor. 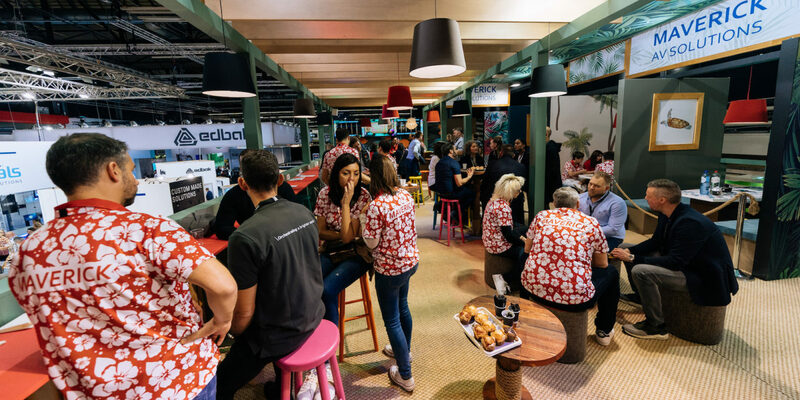 Sales and marketing staff sported Hawaiian shirts and handed out branded cocktails during a long happy hour. Our latest redesign retains the natural materials and ‘aloha’ spirit but with a modern twist. 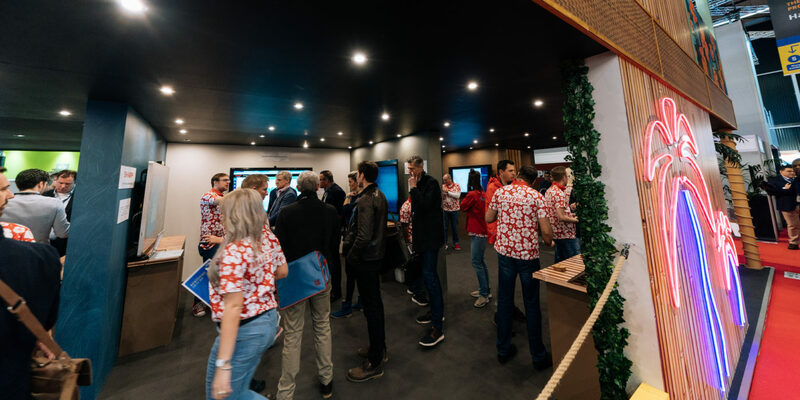 Darker colours and enclosed spaces on the lower level create the perfect screen viewing environment, with a glamorous bar and private meeting booths now located on an enlarged upper deck. 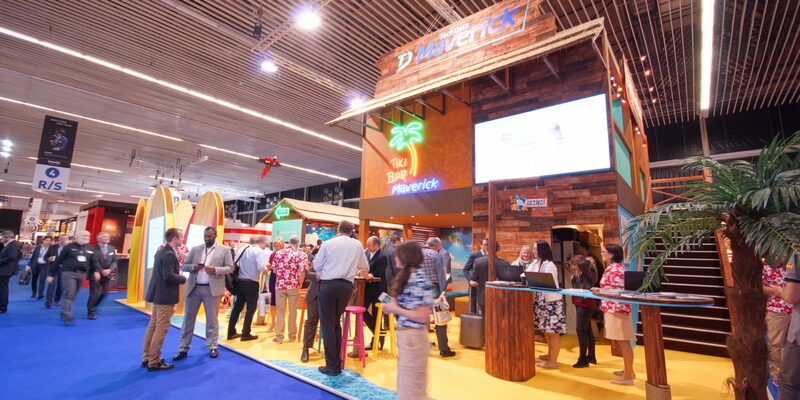 In 2019, more than 3,000 visitors were tracked in the lower level demo areas with several hundred pre-scheduled meetings for key prospects and clients. Our initial theme has been extended to pre-show marketing activities, content and social messaging, driving a consistent message throughout the show campaign. 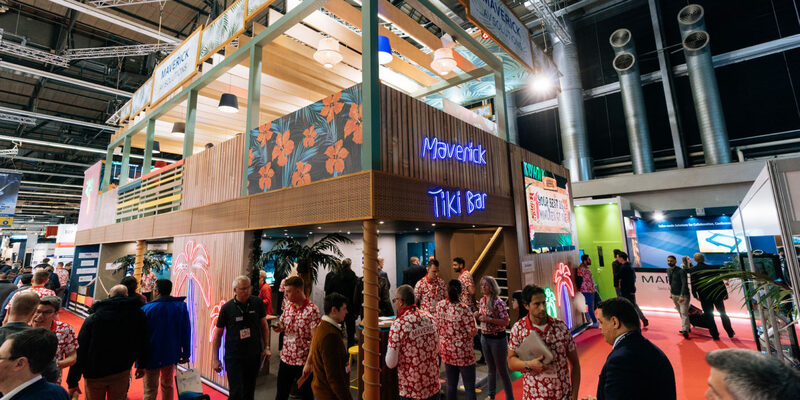 Not only a talking point, the Maverick Tiki Bar remains the must-go spot on the ISE floorplan.